All rights reserved. 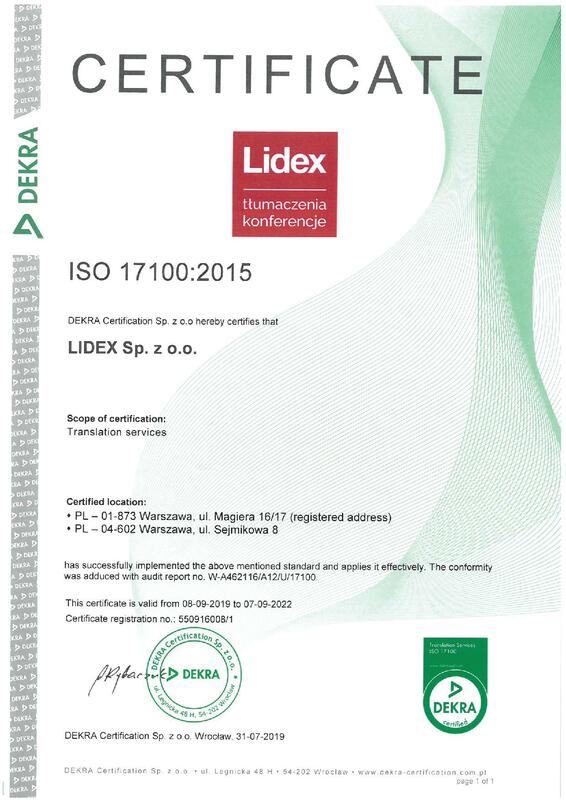 The textual content, graphics, animations and other files used on the www.lidex.com.pl website are protected by copyright and remain the property of LIDEX. 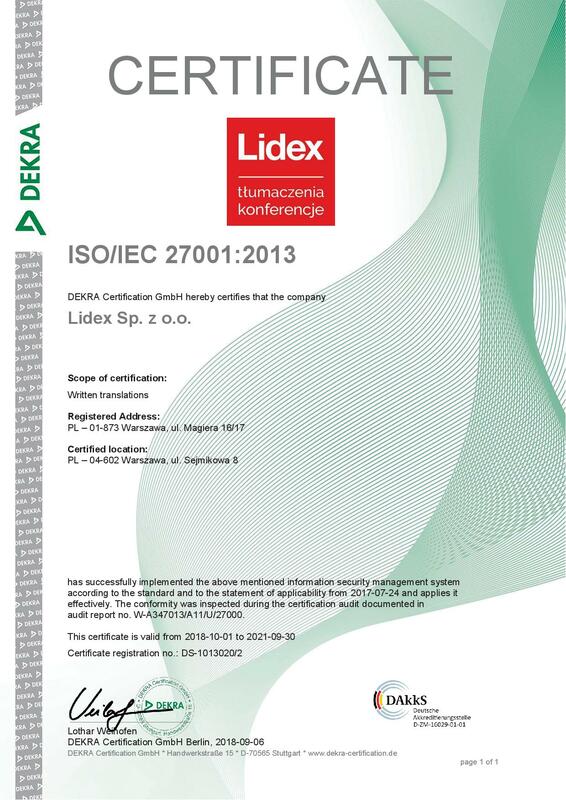 The use thereof shall only be permitted where LIDEX expresses its consent for such use. The unauthorized copying of the content and files referred to above for commercial or professional purposes as well as the dissemination thereof using any methods whatsoever, whether in printed or electronic form, is forbidden. Despite the fact that we have used our best efforts to ensure the correct operation of our website, certain issues may nevertheless occur, whether due to human error or other factors. 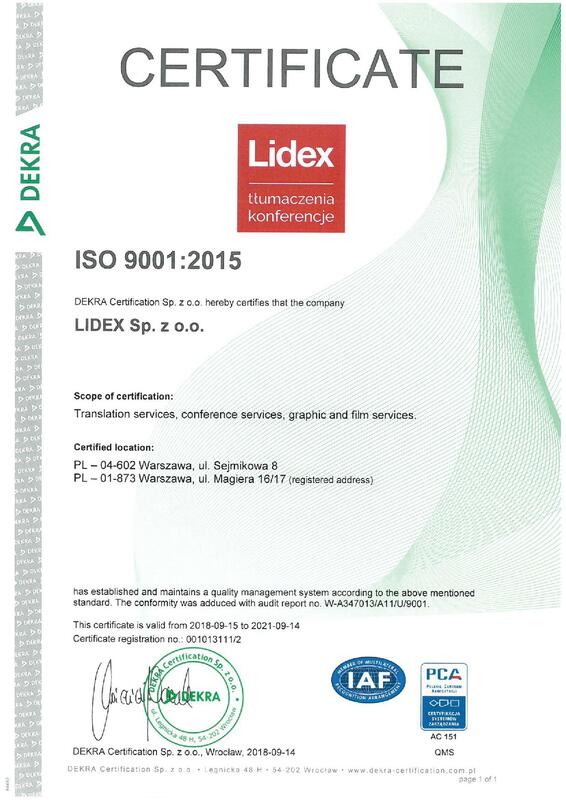 LIDEX hereby reserves the right to introduce changes to its website at the time of its choosing, without any advance notice in this regard.